SAS will present and promote unique ideas and the best of Scandinavian culture at the American festival South by Southwest 2019 (SXSW), the world’s largest gathering of creative professionals. Once again, House of Scandinavia, a global pop-up lounge hosted by SAS, serving as an official display window of Sweden, Norway and Denmark for over 280.000 international guests and journalists during the festival, will be the setting for inspiring talks and activities all based on uniquely Scandinavian approaches to better solutions and Societal, Economical & Environmental improvements. H.R.H. Crown Princess of Denmark will spearhead an official Danish initiative focusing on Danish and Scandinavian values and strengths within Innovation, Food and Culture. A pop-up VIP gourmet restaurant featuring Scandinavian techniques and flavors added to Texan dishes by the Swedish chef Paul Svensson from Fotografiska Museet, a pioneer in sustainable haute cuisine. Together with Kamilla Seidler from Denmark, named Latin America’s best female chef, and Norwegian-Icelandic Atli Màr Yngvason, famous head chef at Katla restaurant and restaurant Pjoltergeist in Oslo, they will transform local food waste from SXSW and Austin to a 9-course gourmet meal. Talk on democracy, corruption, and Sustainable Urban Spaces with Danish politician Margrethe Vestager, EU commissioner for competition, and hosted by Roskilde Festival. The Swedish music tech company Auddly will share exciting news. Representing Auddly in Austin is Björn Ulvaeas, part of the world-famous pop group ABBA, one of the biggest selling artists of all time. Hear from leading tech companies and the Mayor of Stockholm, Anna König Jerlmyr, how they joined forces and declared Stockholm ’A Woman’s Place’ to make it a city where everyone is safe from discrimination and free to flourish. SAS Labs, responsible to greenfield innovative projects, will present new initiatives to pioneer the next generation of traveling. Furthermore, Rickard Gustafson, SAS CEO and President, will be part of selected activities. For Scandinavia`s creative community, SXSW already begins prior to the official opening of the festival. 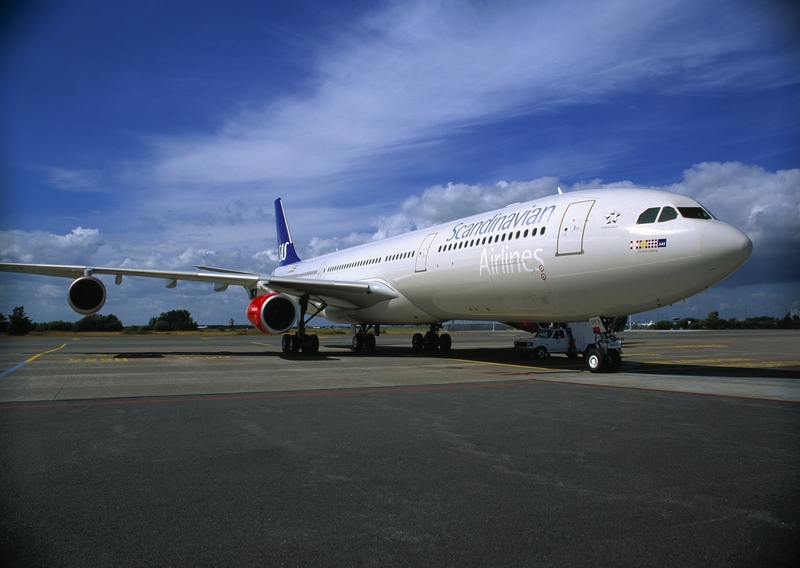 Travellers can fly with SAS from Scandinavia to Austin, Texas on a one-of-a-kind direct flight and they can explore the latest in digitalized travelling at a special event in Copenhagen Airport. Furthermore, to bring focus on a more sustainable way of travelling, SAS CO2 compensates all tickets on the two special flights between Scandinavia and Austin, Texas during SXSW. SAS calculates the CO2 emissions of the flights and invests in renewable energy projects provided by an external partner. SAS always CO2 compensates all youth tickets, staff tickets and tickets for all EuroBonus members. SAS has two ambitious, but tangible, targets by 2030: to reduce total carbon emissions by at least 25%, an ambition exceeding the targets set by IATA, and to operate with renewable fuel corresponding to the total domestic flight consumption.